I too loved playing with Barbies as a young child and definitely didn’t have any dolls that looked like me. Reading your post made me think of a recent documentary, I can’t remember what channel but it was about skin color and our culture. 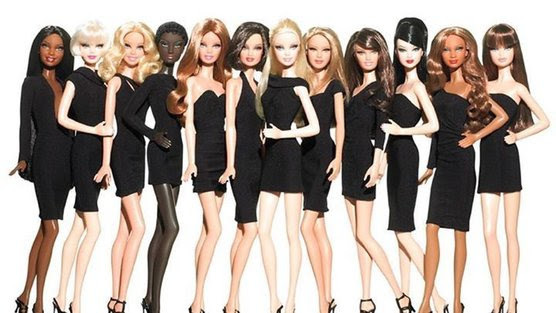 Growing up I wanted to look like those dolls because the lighter your skin, the prettier you were considered. If as a young child I would have had dolls and role models that looked like me, then maybe my self image would have been different. I am signing that petition so that hopefully soon my girls will get to play with dolls that look like them. It has been a real challenge finding dolls for my four year who is a dark skinned little girl. So far we get the generic black dolls but they still often have light eyes and silky, curly that just doesn’t fit our family or most of the people that look like us. She certainly has more options than I did so I’m hopeful that they are going to really start listening when these petitions.